"I always take my toll - blood, or gold." "Send more goons. I think it's working." "I'll fight for a cause. I won't die for one." "Kings come and go, but gold stays." "Wealth is my kind of burden." "I make my own fortune." "Loyalty isn't earned. It's bought." "You can't tame the desert." "Laws are whatever works at the time." "It's not stealing if they're dead." "The only thing I look up to is the sky." "Honor is the rust on a dull blade." "You've got a problem, I've got a price." "Get paid, and get out." "I've got values - they stack up nicely." "I go where the trouble is." "Don't get between me and my gold." "Here's where I get my cut." "Crack 'em like a tomb." "Victory is what I'm paid for." "You're worth my time - dead." "Make me work for it." "Cut purse? No. Cut throat? Yes." "They say the desert is a cruel mistress. I like the sound of that." "You can't take it with you, so give it to me." "Look up. See the buzzards circling." "Alright Azir, let's put your ascension to work." "Looks like trouble runs in the family, eh Azir?" "You always were a snake. Now you look the part." "Your inner beauty really shines through, Cassiopeia." "Oh, look. I'm about to step on a snake." "That forked tongue could use a matching forked face." "You'll make a nice bag." "I could use a pair of croc skin boots." "Keeping the ascended in line is a full-time job." "Ascension is a problem. I'm the solution." "Hmm... I could get used to this." "Yeah. I am that good." "I do my own dirty work." "They asked for ascension. Give it to them." "Takes a lot to stay at the top." "Come to my desert, pay my price." 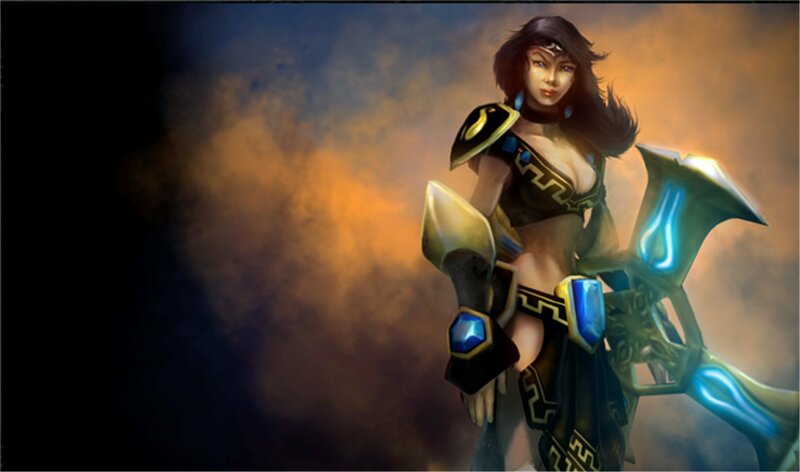 Sivir is a renowned fortune hunter and mercenary captain who plies her trade in the deserts of Shurima. Armed with her legendary jeweled crossblade, she has fought and won countless battles for those who can afford her exorbitant price. Known for her fearless resolve and endless ambition, she prides herself on recovering buried treasures from the perilous tombs of Shurima?for a generous bounty. With ancient forces stirring the very bones of Shurima, Sivir finds herself torn between conflicting destinies. Last-modified: 2019-04-23 (火) 12:00:18 <973295412> | HTML convert time: 0.006 ( 0.015 ) sec.